Large yachts are like migratory birds, they follow the heat and sun. After Cannes and Monaco, the two Mediterranean superyacht shows at the end of September, it is time for our floating palaces to start their transatlantic journey with the entire superyacht community. The owners, guests, captains, crew members and the brokers who specialise in these super-toys, the ultimate destination, with its luxury villas and supercars that combine to create the unique atmosphere that is the Fort Lauderdale International Boat Show in Florida in early November, which celebrates its 60th edition this year. This community then scatters around between the east coast, the Bahamas and the Caribbean. After June, to avoid the hurricane season, the yachts gradually sail back to Europe either by their own means or onboard semi-submersible large carriers. 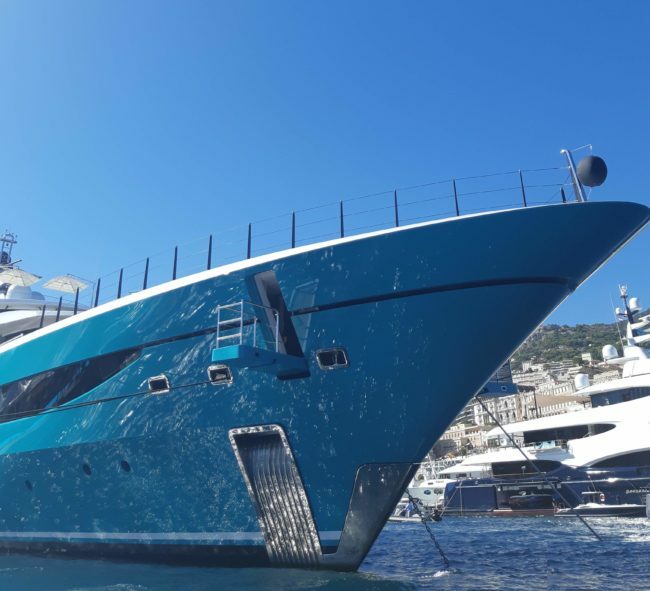 Once back in the med it is time for a check-up in a specialized refit shipyard before the summer season begins again on the beautiful French Riviera. This annual refit is the perfect opportunity for owners to give their yacht a new look, to refresh the interior design or to invest in a new super toy to be seen at the next boat show. It would be a shame to start the new season at the Monaco Grand Prix and Cannes Film Festival in May without the latest “must have”! Please meet the ASTTRAL team at these major superyacht events. Our PRESTIGE insurance solutions and services have been designed to meet the demanding needs of yacht owners and for other high-value assets.